What is acne actually and how to get rid of acne fast? It is apparently the most common skin problem experienced by people. Facts say that there are 85 % of people in United State experience acne. What is Acne and How Can it Occur? Simply to put, acne is inflammatory skin disease that can result in spots and pimples. It commonly appears on face, shoulders, back, chest, neck, even upper arms. Though acne is not dangerous but it can make your appearance is less attractive. Some bad cases of acne even leave scars on the infected skin. Though it is commonly experienced by teenagers, but it doesn’t mean that you will automatically free from it once you leave your adolescence phase. Studies say that though people often experience it during their puberties, but acne can still happen till you are 24, even more. Another fact reveals that it occurs in 3 of every 4 people in the age of 11 up to 30 years old. Human skin has follicles. They are kind of small sacs that function to produce oily liquid. Acne will occur if the follicles on people's skin are blocked. It makes oily liquids are built up under skin. This raising of oil liquid which blocks the follicles that finally causes acne. 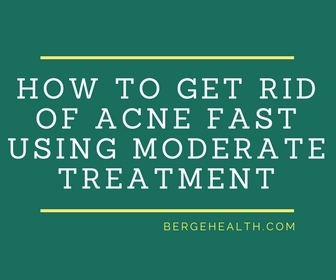 A light case of acne can be cured by using simple method of treatment. There are creams or lotions sold freely in the market. It can even be cured by using natural materials available daily at home. But for heavier case, stronger medications might be needed. If your acne is kind of cyst, it can rupture and leave scar on the skin. To avoid worse damage, dermatologists often suggest the corticosteroid injection and the cyst will disappear just within few days. This injection will be very useful to reduce skin inflammation and fasten the healing process. This also functions to avoid skin scar. Oral antibiotics are usually given to patients up to 6 months. They are functioned to fight against bacteria and kill them. Oral antibiotics are also used for reducing skin inflammation. Unlike the oral antibiotics, the oral contraceptives are usually prescribed for longer consumption. They are addressed for women only. But not all women are allowed to consume them. Those with blood clotting disorder are not suggested to take this treatment. Those are all about acne and how it can happen to you. 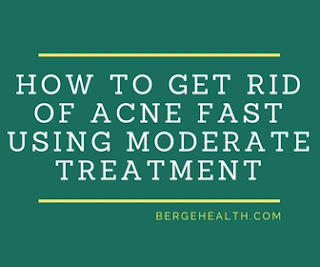 Just consult professional if your acne is getting worse and if the moderate treatment of how to get rid of acne above doesn’t help much.